I can sense your skepticism radiating through your device, over the network and into my office. “Sure, that’s a great theory, but I can’t march into my boss’s boss’s office and tell them to stop the spec presses until I agree that writing this code makes sense.” Yes, that’s true. You can’t do that. And for this exact reason I’m creating this efficiencer’s guide. If you could do that, we’d already be at the finish line instead of the starting line. 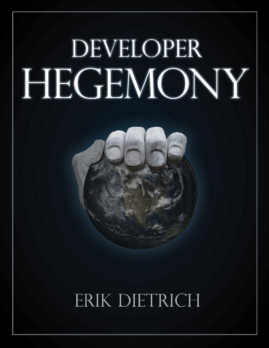 Developer Hegemony answers the question, “why do software developers have the least influence of anyone in the software development industry” in depth. We have a ways to go. But, don’t worry; we’ll get there. Before you do anything else, make a simple change in your life. I actually can’t think of too many simpler, easier changes one could make. But this one will have a profound impact on your outlook. Stop thinking of yourself as an employee. Seriously. Right now. You are no longer an employee of MiscTech Inc. You are now self employed, and you have a single client: MiscTech Inc.
You Have Some Work To Do! If you really throw yourself into the mindset that you work for yourself, you have immediate work to do. Specifically, you need to learn how you’d bill and invoice MiscTech. What would you charge them per hour? If you make $100K per year, do you divide by 2080 and charge them that? (Hint: no) How often would they pay you as a contractor? Who would take care of your health insurance? Your 401K? Before you can start learning tactics to have “why” conversations with CIOs and VPs, you need to learn these things. If you can’t speak intelligently about how some business — any business — takes in revenue and manages expenses, you probably won’t get far. Especially if you can’t reason about your own impact on your clients. Figure this stuff out. Pretend that you do have immediate plans to “boomerang” (turn your current employer into your first client). Do all of the research required so that if some deus ex machina came along and forced you to do this, you’d find yourself prepared. Alright, you’ve started down the efficiencer path. It probably feels uncomfortable and weird, and that’s understandable. Go with it. And so that’s probably enough for a day. You don’t learn a language all at once, and, similarly, you don’t learn to run a business all at once. You learn a bit, practice, and then learn more. I will close out by offering one other bit of mindset preparation. You need to diversify your skills. Efficiencers know automation in and out, which means that the nuts and bolts of programming matter. They matter a lot, in fact. But they don’t matter exclusively. Think of the inane advertisements for “full stack” developers. You need to know some database stuff, some server side language stuff, some client side stuff and some markup. Being an efficiencer is like that. But your “stack” involves the core elements of business: product creation (your role), marketing, sales, operations, and finance. 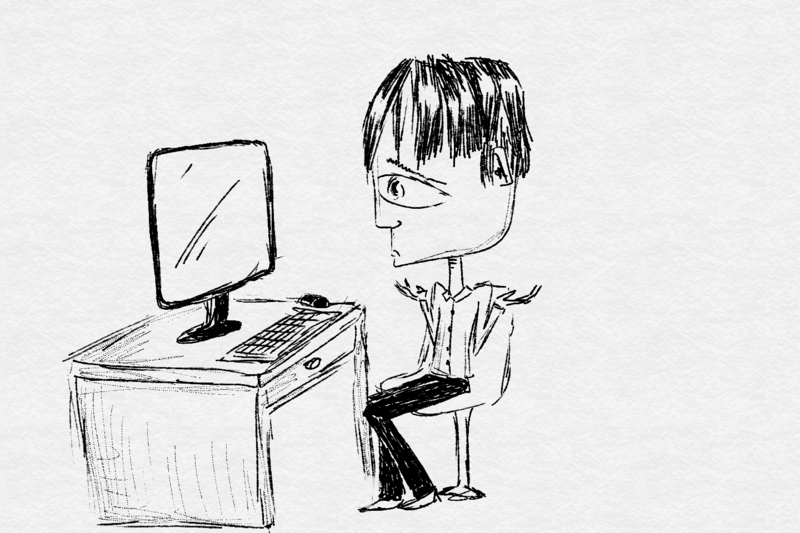 Get really, really good at creating products and services with your programming skill. But leave the fetishism and programming “contents” for the idealists of the world and learn the other parts of business. To go along with your mindset shift and start down the path, I’m going to offer a number of resources. I’m offering you sources of information that will start to fill out your “stack” with things that go beyond programming. You may not understand everything here immediately, but do your best to read, start following along, and grok. First up, podcasts that will round you out. The Freelancers’ Show, which talks about topics important to free agents. Entreprogrammers, a mastermind group at the intersection of software development and entrepreneurship. (Advanced) Ditching Hourly, Jonathan Stark’s take on the problems with hourly billing and how to get away from it. (Advanced) Stacking Bricks, a podcast about entrepreneurship. Now, books that will alter your perspective. The Four Hour Work Week, which expands your view on the nature of work and life. The Lean Startup, which gives a crash course in business and applying the scientific method to it. The $100 Startup, which proves you don’t have to set your sites on empire building. (Advanced) Million Dollar Consulting, which teaches you how to have cachet as a consultant. I’d say that’s definitely enough to get started. Avail yourself of some of this material and start changing your mindset. I’ll have more content to help you in your journey as you go.